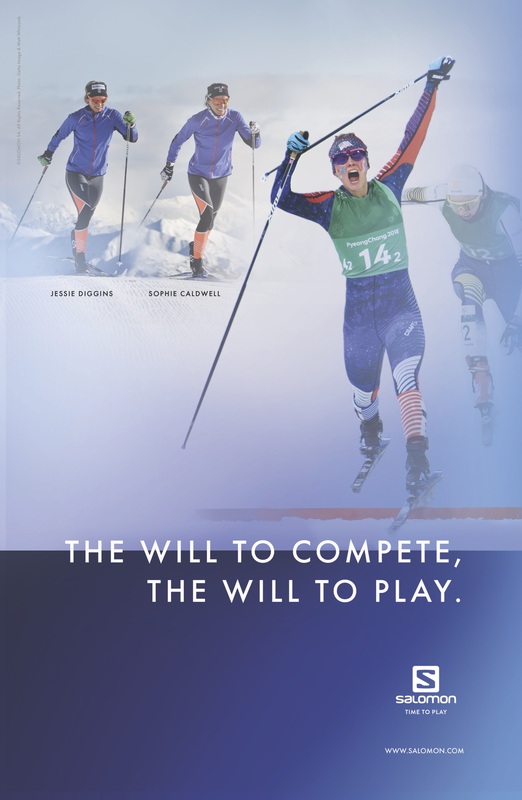 Hayward (WI) – The American Birkebeiner Ski Foundation (ABSF) has announced a multi-year agreement with Salomon, international Alpine skiing equipment, snowboarding, Nordic, and running brand, to make it the new Presenting Sponsor of its iconic Kortelopet 29-kilometer ski race starting with the February 23, 2019 event. The American Birkebeiner and Kortelopet races together comprise the largest ski race in North America and the third-largest worldwide. A long-time ABSF sponsor, Salomon joins outdoor brand L.L. Bean, now in its second year as a Birkie sponsor, as Co-Presenters of the Korte. The pair creates complementary technical and recreational support of the ABSF’s now fast-growing Kortelopet race, part of its legendary cross country skiing line-up. “Salomon is proud to support the Birkie’s outreach through the Kortelopet to junior athletes and their development as well as to the wide range of veteran and new skiers drawn to the Kortelopet to experience the joys, challenges, and accomplishment that is unique to this cross country skiing event,” said Robert Lazzaroni, Salomon Nordic Regional Commercial Manager. Salomon is already part of the Birkie’s Nordic Expo experience and On-Snow Demo. It is Title Sponsor of the Birkie Trail Run Festival. Now, as a Presenting Sponsor, Salomon is featured in the ABSF’s Skin-Ski Campaign that provides free entries to first-time Kortelopet skiers. Salomon also supports the Birkie’s junior skier development efforts and the Birkie’s grants to junior-athlete summer camps. The Kortelopet ski race underwent a transformation in 2017 when the ABSF changed the race course for the first time in its 45-year history to end on Main Street, Hayward, just like the legendary Birkie 50/55K race does. Korte skiers now experience all the excitement of skiing over the Birkie Bridge and up snow-covered Main Street to the celebration of thousands of bell-ringing spectators. “We are thrilled to give Korte skiers this experience and to have the support of a premier Nordic brand like Salomon to help us create it!” said Ben Popp, executive director of the ABSF. For more information regarding Salomon, please contact Public Relations Account Manager Madeline Fones at madeline.fones@rygr.us.